If you’re looking for a Toyota Camry Hybrid for sale near Indianapolis, IN, we have you covered! With various models of the eco-friendly car on our lot and our team of professionals here at Andy Mohr Toyota, we’ll be able to help you find and finance a new Camry Hybrid in no time! When you start to look for a new Toyota Camry Hybrid, our team will be there every step of the way to provide you with their expertise as well as focus on your needs. 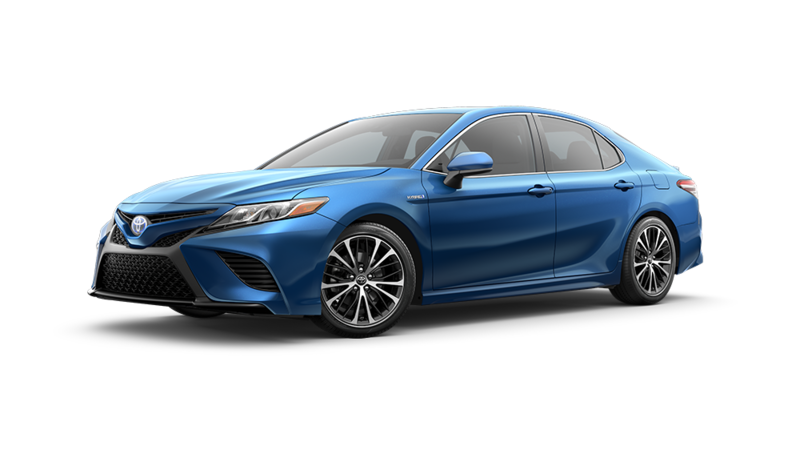 We’ll be able to show you about the various features in each trim and can learn about what you want from your next car to help determine which Camry Hybrid model we have is perfect for you. From there, our finance team will take over and work individually with you to come up with a financial plan that matches with your lifestyle. They can detail what it means to buy or lease a Toyota Camry Hybrid and figure out which option personally is better for you. In the end, our finance team will work diligently with the goal in mind to have you leave with a monthly payment that works within your budget. At our Toyota dealership, we make the car-buying experience fun, personalized, and simple for you! Why Get a Toyota Camry Hybrid? On top of gaining a car that gets exceptional gas mileage, the Camry Hybrid also has plenty of other benefits that come along with driving this car. Since you’ll be making less stops filling up at the gas station and more time on the road, Toyota has made this vehicle a comfortable and enjoyable ride. There are also three separate trim levels to choose from with the Toyota Camry Hybrid. Toyota Camry Hybrid LE: Safety takes precedence in this car with both the Star Safety System™ and Toyota Safety Sense™ P system being standard in the base trim level. The LE is also has the Entune™ 3.0 Audio with App Suite multimedia system to give you plenty of ways to stay entertained. Toyota Camry Hybrid SE: Inside the SE, there’s a leather-trimmed steering wheel that comes with paddle shifters. The Sport SofTex®-trimmed seats in the SE have a heated feature for the two front seats. 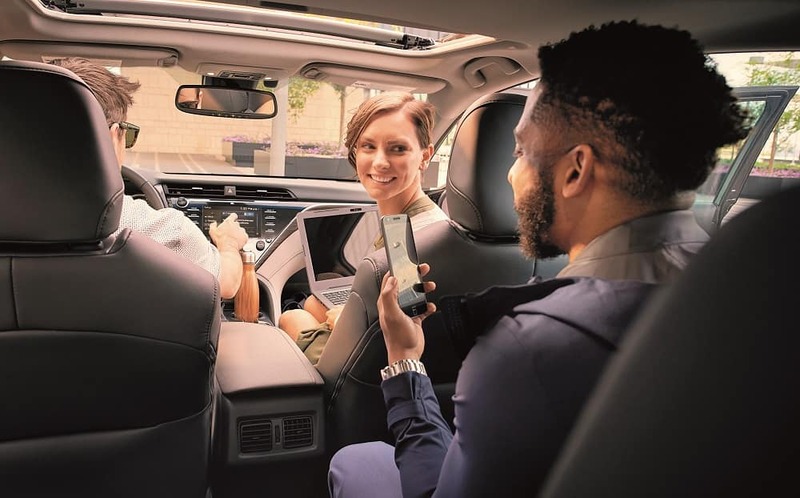 Toyota Camry Hybrid XLE: The XLE has the Entune™ 3.0 Audio Plus with App Suite system that comes with more features for your entertainment and convenience. It also is equipped with an added driver-assistance system. In the XLE trim level, you’ll get the Blind Spot Monitor with Rear Cross-Traffic Alert. At our dealership, you can see the various Toyota Camry Hybrid trim levels and learn even more about their features. Even after you drive off our lot, we won’t stop helping you. Our service and parts center is full of trained technicians ready to assist you with any service needs your Camry Hybrid requires. If it is time for routine maintenance, you need your car repaired, or a warning light is illuminated on your dashboard, they can help get your vehicle fixed and back to smoothly riding around Indianapolis at its best! Drivers in and around Indianapolis looking for a Toyota Camry Hybrid for sale can stop by Andy Mohr Toyota today! Come see our inventory and meet with our friendly team to get started on finding your new car!